People have come up with various ways to try and stop noisy dogs from making a nuisance of themselves. From collars that spray or shock the barking dog, to actually removing the dog’s vocal cords. Hopefully you won’t want to go down this road. A better alternative is training. Can you really train a dog to stop barking? So can you teach a barking dog to stop barking on command? Does this kind of training actually work. The answer to this is yes. You can teach a dog a ‘cue’ that tells him to be quiet. It won’t obliterate all barking completely and it won’t work in every situation. But it is surprisingly easy to do, and will help you to limit many periods of barking to a more acceptable level. It makes a big difference for many families with noisy dogs. 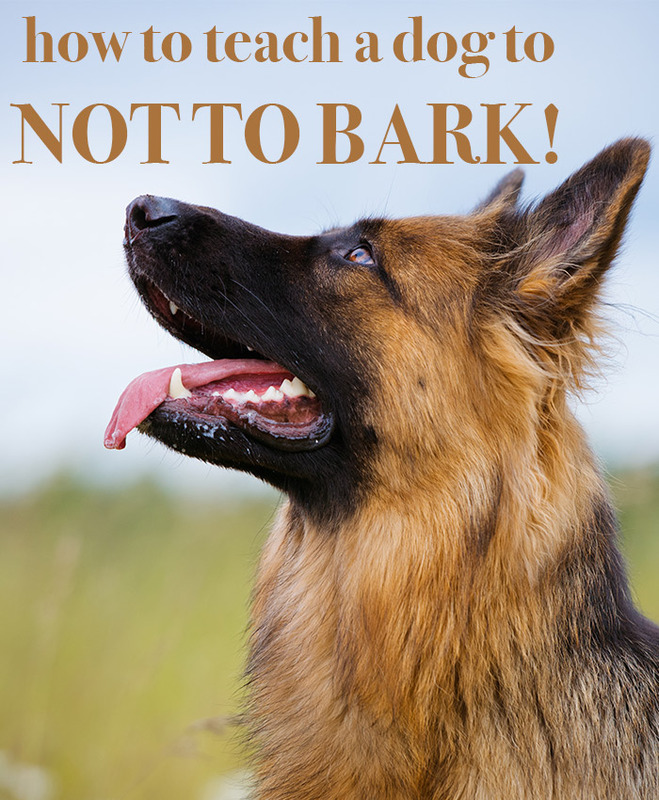 Before you begin training a ‘no bark’ or ‘quiet’ cue, it is important to figure out what kind of barking you are dealing with. And to define the situations that a no bark cue is useful for. The ‘no bark’ cue is great for dogs that bark out of excitement, for example when they see you get out their dinner bowl or to get attention. It will work for dogs that bark for attention or at every little noise outside, whilst you are trying to relax. It will help to reduce habit barking such as barking at the postman or at the doorbell, or yapping every time a family member gets up out of a chair. This exercise is not suitable for dogs that bark from fear or aggression (which is usually founded in fear). Aggression needs treating by a qualified dog behaviourist. Nor is the ‘no-bark’ command suitable for treating dogs that bark due to isolation. Dogs that bark because they have been left alone for long periods of time are very difficult to stop. The best solution is usually to end the isolation. The no-bark command is not usually suitable for dogs that bark at ‘passers-by’. Barking at passers-by is highly reinforcing for dogs because they think that their barking is solving the problem (the passer by has after all passed on by). That leaves us with a lot of noisy dogs that bark to get attention, bark from boredom, or that bark because they have inadvertently been taught to bark to get access to resources or activities that they enjoy. These are dogs that bark when the food bowl comes out for example, or that bark when you get your car keys down, or when they want you to throw a ball or play tug. Dogs that bark excessively at visitors, tradesmen, or at car doors slamming in the street. You can easily train ‘bark’ and ‘no bark’ at the same time. And that is what we are going to illustrate here. It may seem counter-intuitive to teach a dog to bark and even reward the dog for barking, but that is exactly what you will do to begin with. Why teach a dog to bark? Don’t worry. Putting a behaviour, in this case making a noise, on cue is an effective way of reducing the dog’s desire to indulge in that behaviour spontaneously. The reasons that putting an undesirable behavior like barking on cue may help to reduce barking at other times are debatable. If the dog only gets a reward when he has been asked to bark, barking at other times my seem less desirable. And perhaps for dogs, like people, an activity can lose its ‘shine’ if people keep asking you to do it. Either way, we know this principle works, so it make sense to use it. By using dog training to put barking ‘on cue’ in this way, you are also giving your dog an awareness of what he is doing. Many barking dogs are simply not aware of what they are doing. It is just a habit. You are enabling him to make choices about whether or not he barks, rather than just responding hysterically with yaps, to any kind of exciting stimulus. For us, as dog owners, the ‘bark’ cue is important. You will need a reliable way of getting your dog to bark repeatedly, so that you can repeatedly practice your ‘no bark’ cue. Teaching the dog to bark on cue gives you a reliable way to trigger the behaviour in order to practice the opposite. Let’s take a look now at how to stop dogs yapping for attention or out of sheer joy. You are going to do something that triggers your dog’s barking. Have a think about the best way to do this. Maybe you’ll be getting out his lead. Maybe you’ll prepare his dinner, or put on your coat. Or tap on the table. Anything that you know will set the dog off, will do. Next, choose your cues – I use ‘Speak’ for bark and ‘Quiet’ for stop barking. You can choose different cues if you wish. You’ll need an event marker – a clicker is ideal. 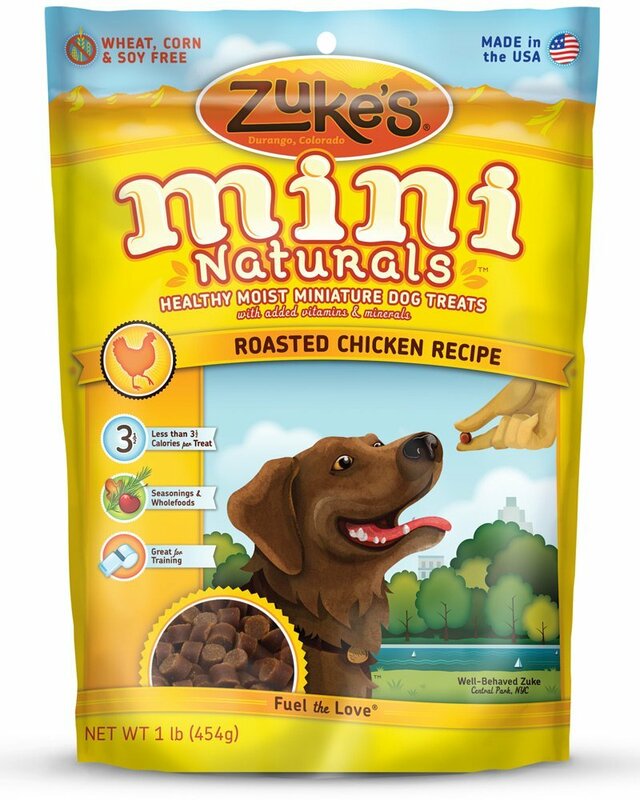 You will also need a handy pot or bag of tasty dog treats. As soon as the dog starts barking Mark the bark with a click, or a word like YES! and immediately follow the mark with a Reward. We call this Mark and Reward. Time your mark very carefully to occur whilst the dog is still barking. What if he doesn’t bark? Bring out your trigger – your keys, coat, dinner bowl, lead, whatever usually makes him bark. Wave it around, get him excited – whatever is necessary to get him barking and be ready to Mark that Bark! Mark and Reward your dog for barking several times. Obviously he has to stop barking to eat the treat. Each time he does so, use your bark trigger to start him barking again. When you have done this quite a few times, you can wait for a moment, to see if your dog will offer the bark without your trigger. Try this every so often, until your dog offers you a spontaneous bark. When he does this, he is beginning to grasp that he actually earned his reward through barking. Hold your keys, his dinner bowl, his leash, whatever usually makes him bark, behind your back. Now give your bark cue “Speak!” and wait for the dog to bark. If the dog does not bark, bring out the bark trigger. Wave it around if necessary to get him barking and be ready to Mark that Bark! Repeat, a few times, until he is barking reliably on your ‘speak’ cue. Step Three – Only when I say Speak! Wait your dog out. Don’t offer your cue. Just wait for a bark. He will offer a bark because he has been rewarded repeatedly for barking. Do not Mark or Reward that bark. Wait again, for a couple of seconds of silence, then give your bark cue “Speak” – mark and reward the bark. Spend some time practicing this. Cue the bark, Mark and Reward. Wait for the dog to bark, ignore the bark. Wait for two seconds of silence, then cue the bark, mark and reward. Most dogs by this point are now only giving one or two barks after each cue. They know a reward is coming so they bark, and stop in anticipation of the treat. You can wait the dog out to get a longer string of barks. In this step, you are going to go back to triggering the bark without the cue, using your leash, keys, dinner bowl etc. Get your dog to bark using your trigger. As soon as your dog stops barking give your ‘Quiet’ cue and immediately follow this with a treat. Repeat a few times then try to anticipate the dog so that you give the ‘Quiet’ cue just as he stops barking. If he doesn’t stop, hold the treat in front of his mouth (don’t let go yet) he’ll stop barking to try to eat the treat. As soon as he is quiet, let him have it. Give the bark cue, then after a few barks give the no bark cue – mark and reward immediately he stops barking. Pick the first few occasions carefully. Don’t try this when the dog is really overexcited. Don’t be tempted to shout the cue, use the same tone of voice that you used before. 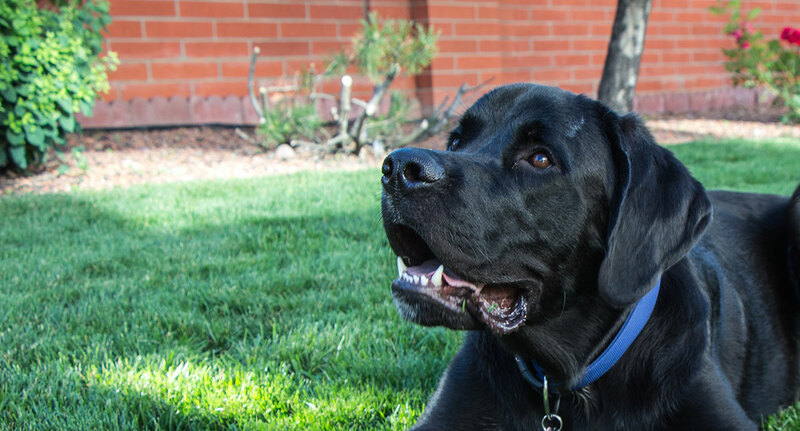 Once your dog can respond to your quiet cue, you can alternate the two cues to practice his new skills. Cue the bark, then cue the quiet, mark and reward. Sometimes you can cue the bark, cue the quiet, cue the bark again, mark and reward. If you mix and match the behaviours your dog will learn to discriminate very clearly between them and will respond rapidly and effectively to your new cues. As you can see, this system works to make the dog aware of what he is doing, and motivates him to only bark when someone tells him to. It’s a great way of breaking habit barking, so why not give it a go? It is quite easy to do once you get started, and doesn’t take long to get results. Let us know how you get on in the comments box below. Can I start with “no bark” first? I live in a Retirement Village and am worried that my puppy’s barking is irritating one of my neighbors. I recently adopted 2 dachshunds. One is about 1 year old. The other is about 2 and unknown to me at the time pregnant. They were raised in a hoarding situation with 11 dogs and were never allowed out of the house. I suspect they were confined to a bedroom. After a month they have learned to trust and love us. When anyone else is here visiting, it is a constant, almost aggressive barking. How to I teach them to not bark and help them with socializing? After 6 weeks of adopting 2 dogs we now have 7!!! We have found good homes for the 5 puppies to go to when they are old enough. I did the Bark/No Bark training with all my dogs and didn’t know it was a ‘thing.’ I thought I was the only person doing it! Silly me, but it works. Try it. I have a 4 month old labrador. The only time he barks/howls is at 6am. He gets fed around 7ish. I don’t get up and go down to him, until I’m ready but he continues to bark until he hears me coming down the stairs to the kitchen. I’ve trued getting up before he barks but that doesn’t work, as soon as he hears movement around that time he starts. So how can I stop this? He is caged overnight and covered. Tried uncovered radio on, doesn’t make a difference. When I go downstairs and enter the kitchen, I don’t talk to him or make a fuss, when I’m ready I let him out of his cage and take him to the loo, again I do not engage with him. He isn’t demanding if his good as he is quite happy to be fed whenever. So can you help please? To train a dog not to bark is one thing – but most people want their dog to Bark if someone is coming, so it takes two different approaches. For Company, a Delivery, or a Stranger, I always thank my dog for alerting me and tell him ‘Good Dog, thank you! If they continue barking – which they will at first, I tell them “That’s Enough!” followed by “No Bark! If they are still barking I reach down and hold their muzzle, repeating “No Bark!” as I do so. This can take several repetitions, but most dogs learn fairly rapidly that barking after I’ve been alerted in not ‘Good’. In my humble opinion, I would not crate a dog unless he/she was in the process of being potty trained or if he/she was destroying the house when left alone or if very nervous during fireworks. Looking for suggestions/experiences with citronella vs electric bark collars/other methods to teach not to bark. Friday, I moved into a town home with neighbors sharing a wall on each side. There is an elementary school across the street from us. Lots of walkers, bikers, etc. I have two big dogs who are used to having a substantial yard and not much traffic past the house. In the past, if someone was in our yard or driveway, they’d bark. Totally fine by me. Prefer it actually. But here, anyone who passes by is quite literally 12 feet tops from our front door. Right now, I’m home with them most of the day and can correct them if they begin to bark. They’re really not doing too badly. I’d say maybe 3 times per day one or the other of them will see something that catches their eye and give a few bark but they stop when I ask them to come and sit. I’ve been putting them in our bedroom with a TV on when I leave. The bedroom window faces woods so no traffic back there. The one next door neighbor complained to my husband on day one that the dogs were “barking all day long when you weren’t home.” I happen to know this is BS because I was home all day–she didn’t know I was here. Never left. LOL The landlord warned us that she’s crabby and nit picky. Other neighbors love dogs, met them last night. They said they haven’t noticed anything at all. Regardless, I don’t need to be causing trouble for anyone so I’d like to find something that will reduce the barking even further. In an ideal world, I would like them to feel okay with giving a warning bark. ONE. If someone is at the door or something. Other than that, no barking. I’ve looked at citronella collars and electric ones. 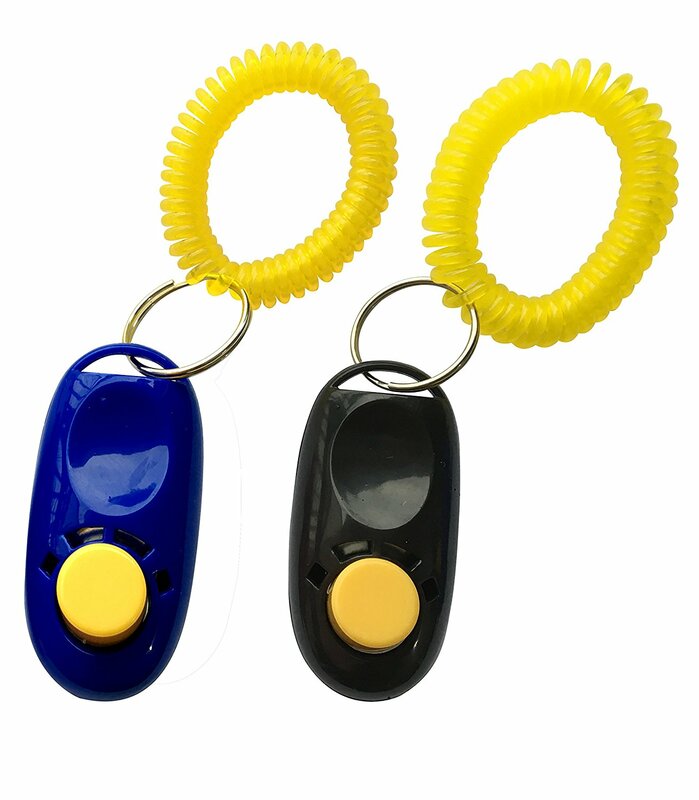 Both dogs have been trained to the electric fence so they get the beep/shock thing. I don’t know about the citronella since it’s all happening indoors. I hear that dog training tips from justin boldoni on facebook work greats and I want to try it out. Stay away from spray callers are the worst idea ever. They can be triggered by another dog barking and they don’t work but did you spray that citronella everywhere . To a dog that has 10,000 times stronget sense of smell it punishes them beyond believe I would use the shock collar if I had to choose between the two luckily I don’t have to. It will take a while depending on the breed find a trainer that absolutely understands the problem . My puppy is 10 months old and seems to be getting worse with the barking. It’s out of excitement when she sees other dogs. She now barks in their face hoping to engage them to play but all it does is irritate dog and humans. I’m worried 9 wk whippet X will start barking in the garden when she hears neighbours’ dogs barking over the garden wall. There is one pair of dogs that bark a lot. They’ve just come back from holiday and she heard them for the first time today. Very interested but didn’t respond. She doesn’t bark at other times (yet!). Not sure if this blog is relevant? How can I pre-empt the problem? Thanks.